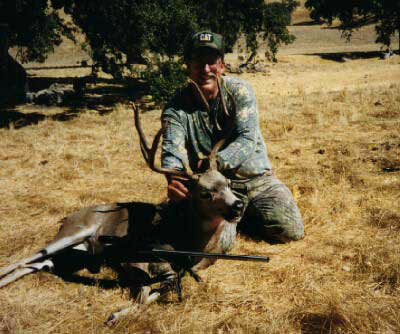 Jim Tonkin of Morgan Hill, California shows off his 3x3 blacktail buck. Tonkin took the buck while hunting California's A Zone. It was 2 p.m. when Tonkin took the buck with his .240 Weatherby rifle.